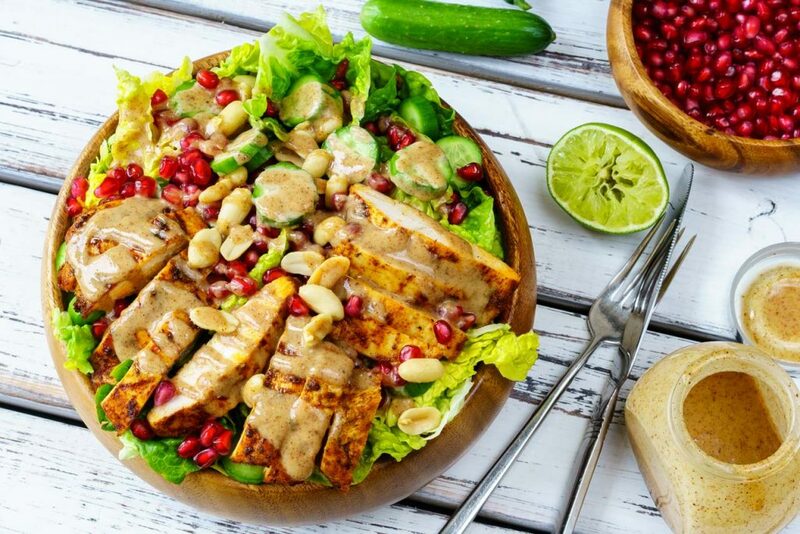 This Chicken Satay Salad is a Clean Eating Winner! In a large bowl, whisk the curry powder, cumin, garlic, olive oil and honey. Mix well. 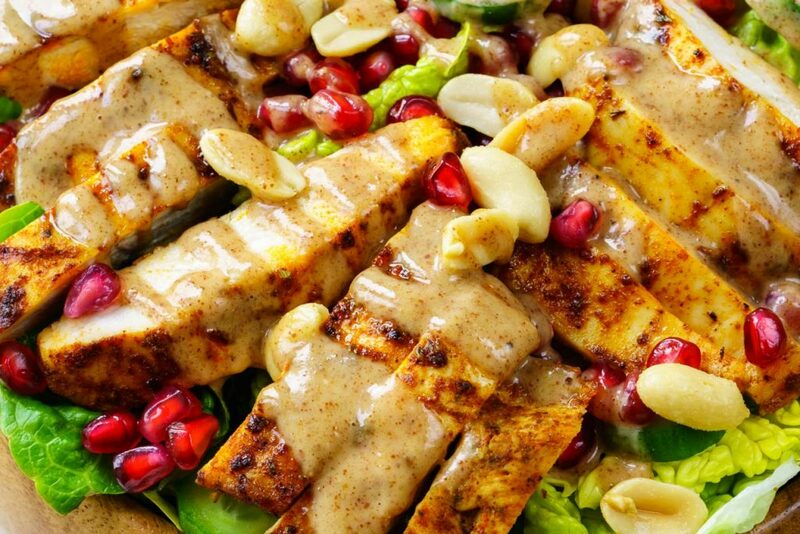 Slice the chicken breasts in half horizontally to make 4 fillets, then add to the marinade and coat well. 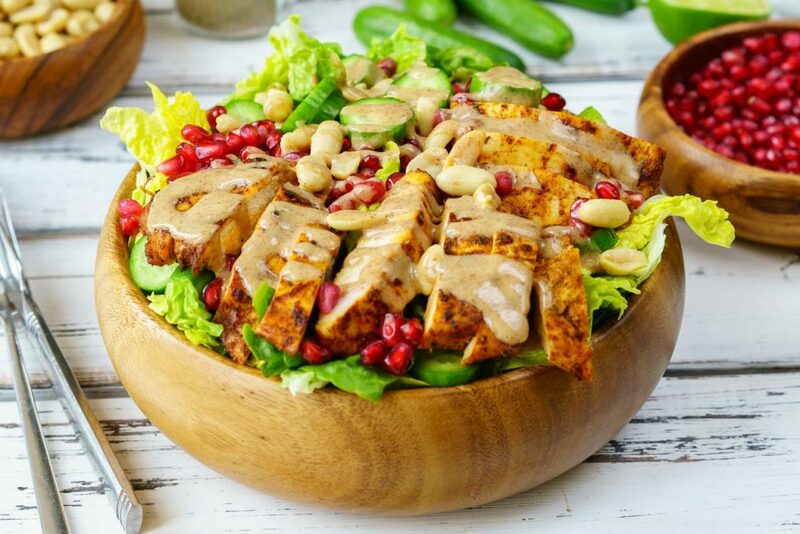 Set aside in the fridge for at least 1 hr, or overnight, to allow the flavors to develop. 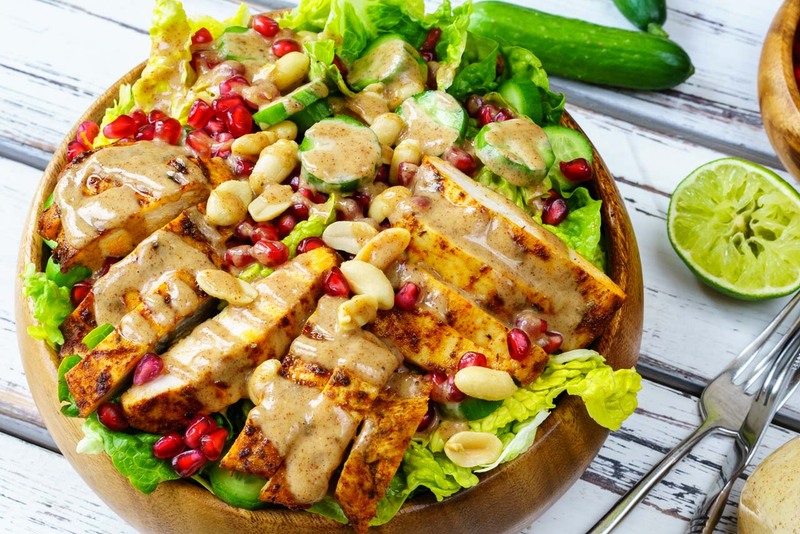 Meanwhile, whisk the peanut butter with lime juice, garlic powder and 2-3 Tbsp water to make a spoonable sauce. Preheat a large skillet over medium-high heat. Add the chicken and cook, covered with a lid, for 8-10 minutes, turning the fillets over for the last couple of minutes, until cooked through but still moist. 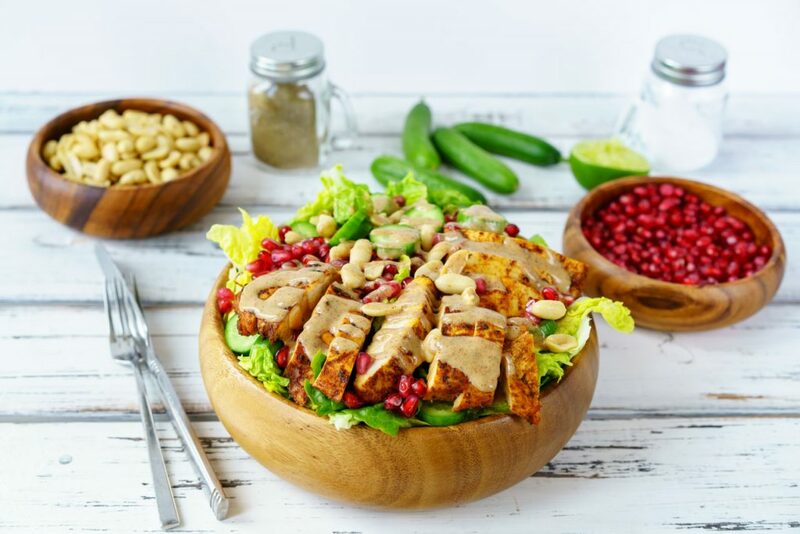 While the chicken rests, toss the lettuce with the cucumber and pomegranate in a large bowl. 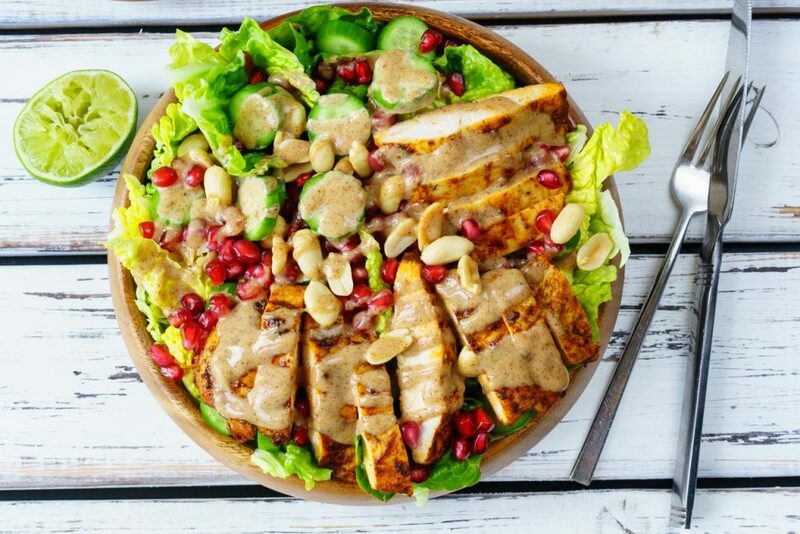 Slice the chicken, pile on top of the salad and spoon over the peanut butter sauce. Eat while the chicken is still warm. Set aside, covered, to rest for a few minutes.